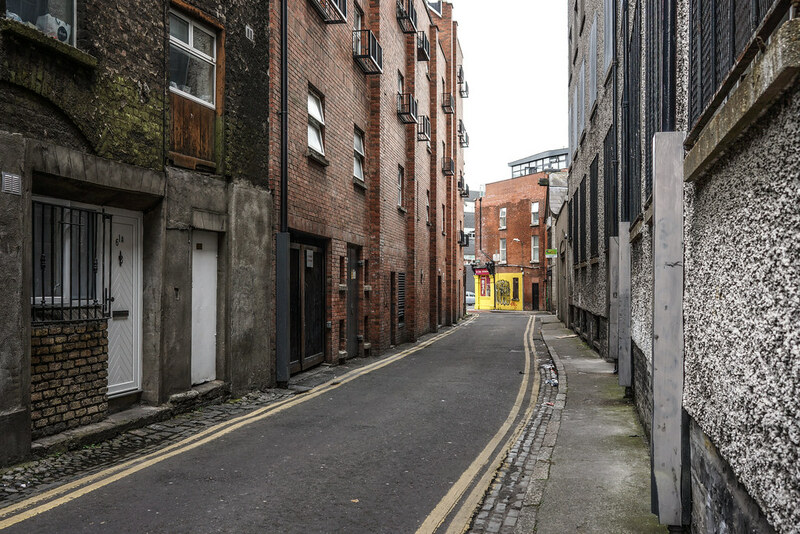 I once took a walking tour of this area of Dublin and the tour guide told us that King's Inns had a D2 address even thought it was in D7 [not true]. 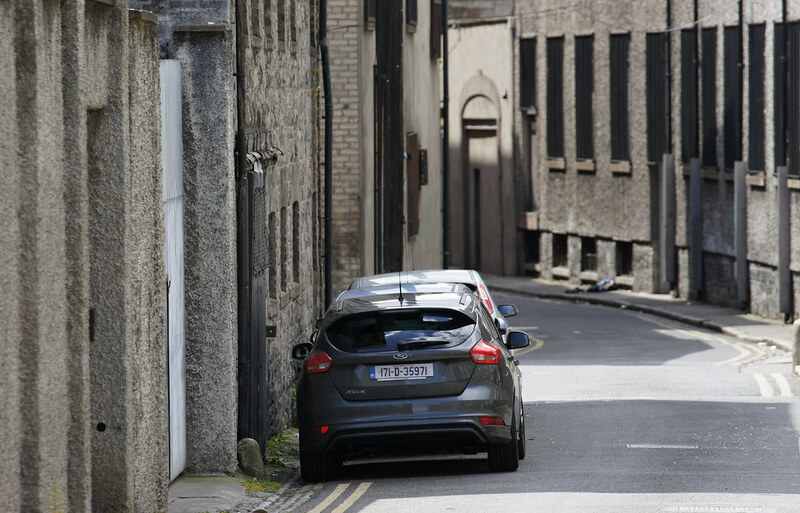 They had insisted on having a 'southside' number instead of D7 as was the case with Henrietta Street and Henrietta Place. I cannot find any evidence that this story was ever true and having checked a number postal addresses for buildings in the area I can say that Henrietta Place and Henrietta Street area in D1. I now live in a small block of apartments with entrances on Bolton Street and Henrietta Place and as a result I have had problems with my address. Some documentation generated by the building society showed my address as being D2 and I needed to get this corrected but then the lawyers argued that if my post was to be delivered to the back entrance the address was D7 and if it was delivered to the Bolton Street entrance the address was D1 [this could make a difference in the case of property tax]. When water charges were introduced I was never billed because they could not register my home as they were able not establish my address. According to my Eircode my address is D01 XXXX which is my preference because I consider D1 to be the city centre and that is where I want to be. 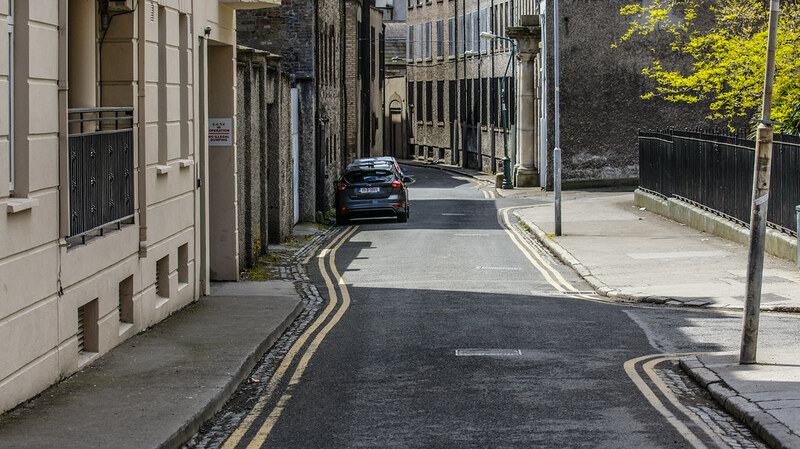 Very few of you will have ever visited Henrietta Place but there is a lot of interest nearby but the laneway/road is ugly and is the subject of ongoing anti-social behaviour including illegal dumping. But to be fair things have improved over the last four or five years because the area is now undergoing the process of 'gentrification' and this is likely to accelerate with the introduction os the Luas Cross-City tram service this Saturday. Henrietta Place connects Henrietta Street to North King Street and passes behind Bodkins Pub [recently rebranded as Bo-Co Restaurant]. I have seen a photograph dated 1913 and one could only describe Henrietta Place as a horrible slum back then. There is now a social housing complex at Henrietta Place which was built by Herbert Simms for Dublin Corporation in 1936 under the Housing Act of 1932, which aimed to increase the level of public housing from 2,000 to 12,000 annually. Simms was particularly involved in the construction of inner-city flat complexes. He drew from Dutch housing design and British contemporary models, and contributed to the design and construction of over 17,000 housing units in the city and suburbs. This complex illustrates some of the themes of Simms' formula for inner-city blocks of flats, having galleried elevations and stair towers facing a large inner courtyard. Simms made interesting use of simple materials, with red brick, brown brick and a variety of render finishes employed to provide an element of visual and textural contrast. An overhanging eaves course to the inner facades and long bands of roughcast rendered galleries contribute to a strong horizontal emphasis. Henrietta Street is the earliest Georgian Street in Dublin, and at the forefront Dublin's later Georgian streetscapes. Construction on the street started in the mid-1720s, on land bought by the Gardiner family in 1721. Construction was still taking place in the 1750s. Gardiner had a mansion, designed by Richard Cassels, built for his own use around 1730. The street was popularly referred to as Primate's Hill, as one of the houses was owned by the Archbishop of Armagh, although this house, along with two others, was demolished to make way for the Law Library of King's Inns.